Attention! 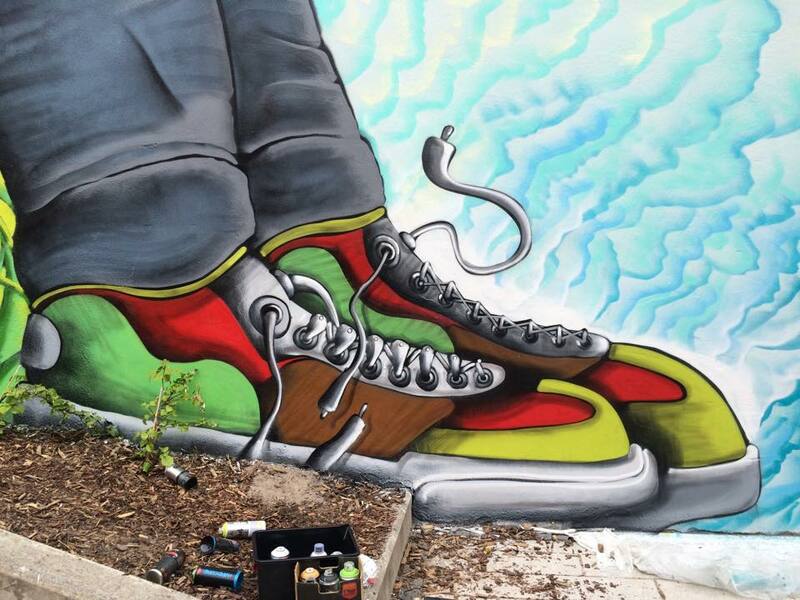 UnKolorDistinto is inserting a piece of Valparaiso in Myyrmäki, Finland – just now! 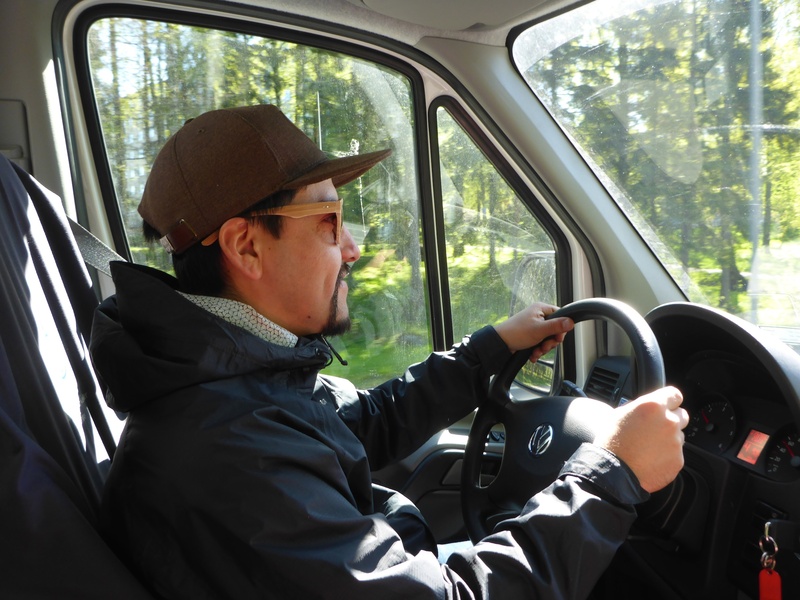 At last my artist friends Jekse and Cines from Valparaiso, Chile, are here in Finland, my home country! In fact, they are staying in my home in Vantaa, one of the big cities that form the capital area. 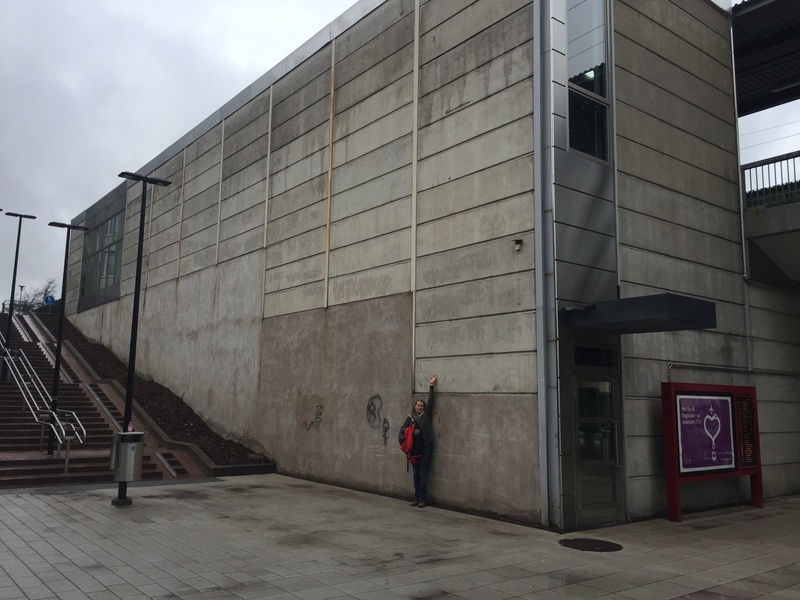 And better still, at this very moment they are painting a major mural on three outer walls of our local railway station, Myyrmäki. 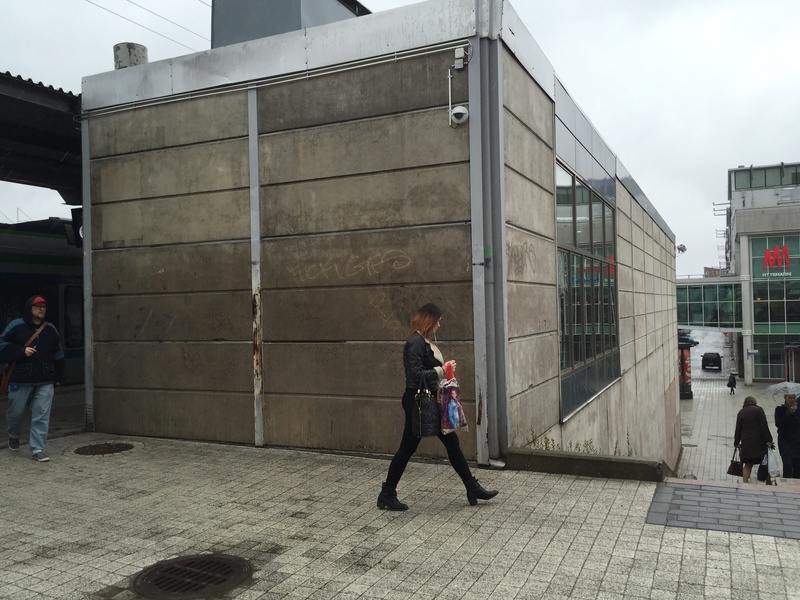 The inside walls of the station have been painted earlier by a group called “Multicolor Dreams”. Both painting projects have been initiated by the Myyrmäki movement, a voluntary Vantaa citizen’s organization, whose coordinators Petteri Niskanen and Klaus Kojo also spend a lot of time acquiring donations in form of money, materials and use of equipment to enable various community events and cultural projects. 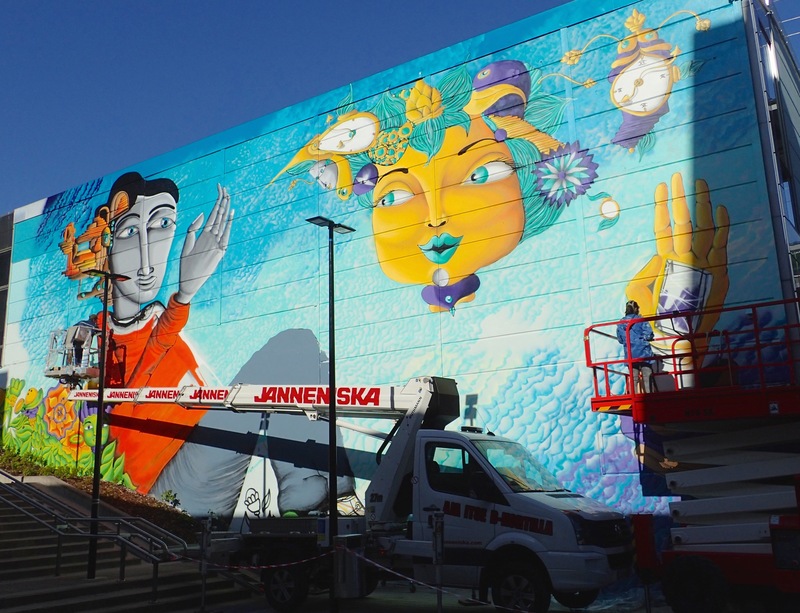 After Cines and Jekse, together UnKolorDistinto, have finished their gig, the station is likely to be the biggest official street art piece in Finland so far. Finland is the first stop on UKD’s three-month tour around Europe. I have been busy helping with translation and interpretation between Spanish, English and Finnish when buying paints, fetching a crane from Janneniska, the company that agreed to lend them for the project, meeting with the city architect to sign a permission contract, in a workshop UKD held for some Aalto University students, and so on. However, Jekse and Cines are intent on learning English and have already been able to practice their skills with my English father-in-law, who is also staying with us at the moment. No doubt they will get a lot more practice as they continue their journey, which is also their very first outside South America. From here they will either move on to central Europe via Sweden or fly to Australia to participate in a big street art event on invitation. All depends on how swiftly the Australian Visas can be acquired by Chileans. 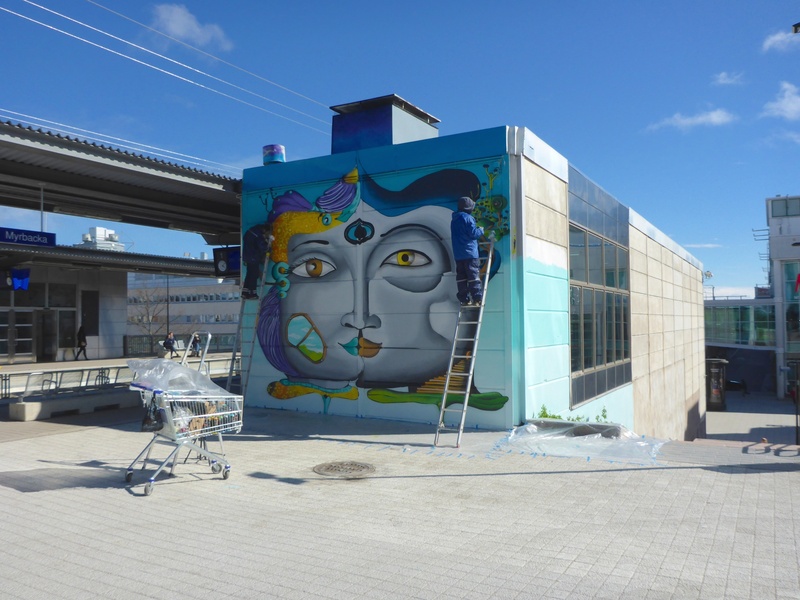 Everybody is invited to the inauguration of their three-piece Myyrmäki station mural, which will be held this week on Friday, May 29th between 2pm and 4pm. As far as I know, there will be some more and some less official speeches as well as live music. Although I am happy to fly to Iceland on Saturday 30th for 3,5 months to do my work practice in Saltvík, a horse farm, I also feel sad having to leave my long-awaited guests behind only one day after the inauguration. We have had three marvelous weeks together. Listening to their soft Chilean accent during our late dinners at home, watching them work incessantly and seeing their piece gradually appear on the station walls has made it feel as if part of Chile and Valparaiso had arrived to Finland with them. 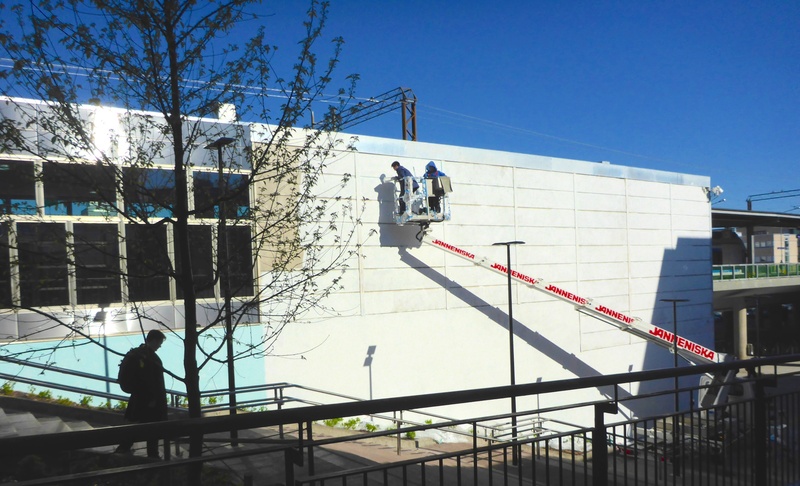 Since the painting process started, hundreds of people have walked down or up the steps that run next to the big wall, leading to the station platform, seeing the mural emerge from the three concrete walls. Dozens of people have stopped to admire the work, ask questions, take pictures or to thank the artists for what they are doing. 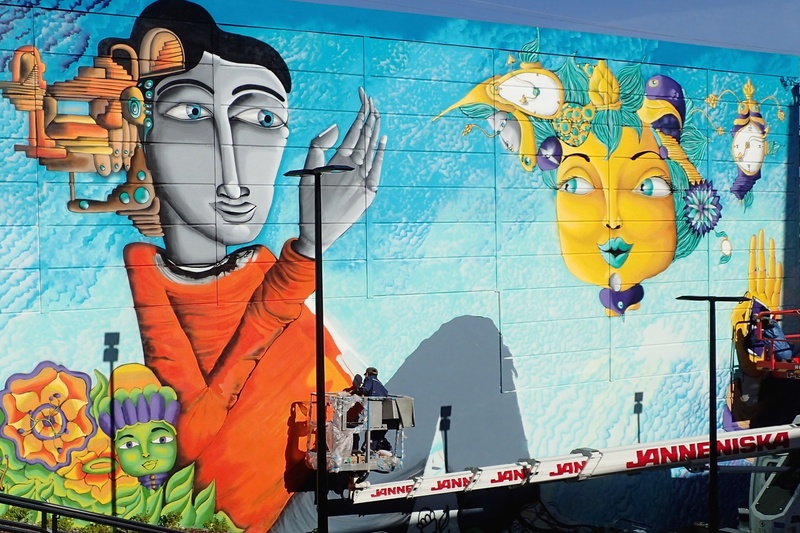 The vivid, playful colors and the distinctive style and themes of UnKolorDistinto are pretty far from what we are used to seeing on our walls in Finland or even in Finnish street art. Hopefully, the sunshine and the Valparaiso atmosphere that they have brought with them from the other side of the globe will stay with us in many ways and for many more years to come! All the texts or images I publish on this site IN MY OWN NAME can be viewed, cited and presented in educational, research, or other non-commecial contexts and purposes free of charge and without asking my permission, providing my name is clearly mentioned as the author and a link to the original material is provided as reference.